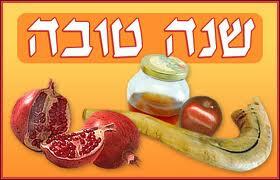 (Video) Over All of These - ShanaTova! As Rosh Hashana this year runs back to back with Shabbat, Love of the Land will resume posting after Shabbat, Israel time. Those who believed the Obama administration’s attitude toward Israel has changed for the better got a rude wakeup call today when Washington condemned the start of a housing project in Jerusalem. State Department spokeswoman Victoria Nuland expressed “disappointment” about the planned building of 1,100 homes in the Gilo section of the city. 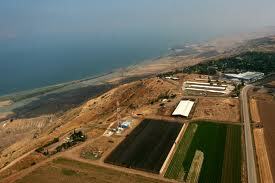 The Palestinian Authority also attacked the project as yet another “illegal settlement” built on Arab land. While the administration’s defenders will say the comments from Foggy Bottom are nothing more than standard American criticism of settlement policy, attacks on the right of Jews to live in Gilo have a significance that may presage the outbreak of violence. The first thing that needs to be understood is Gilo is no settlement. Built on the southern border of the city, it was established more than 40 years ago and is the home of approximately 40,000 residents of Israel’s capital. Up until Barack Obama took office, it was not the subject of much, if any comment, by any previous administration. By seeking to force Israel to cease building houses in existing Jewish neighborhoods in Jerusalem, Obama has legitimized Palestinian demands for not only a re-division of the city but also their desire to evict the more than 200,000 Jews who live in those parts that were illegally occupied by Jordan between 1948 and 1967. But Gilo has a special importance that ought to have been remembered by the administration before they sought to make an issue of it. Gilo is more than just another place where the Palestinians wish to push the Jews out. Only a few short years ago during the second intifada, Gilo was the one section of the city that was under constant murderous sniper fire from the nearby Arab village of Beit Jala. Gilo was the laboratory where Palestinian terrorists sought to discover whether they could force Jews into abandoning their homes. They failed. Despite being subjected to murderous attacks for many months, the Jews of Gilo stood their ground and refused to be intimidated. Gilo became one of many symbols of the courage of the Israeli people and their determination to hold onto Jerusalem. It should also be pointed out that far from being an obstacle to a putative peace deal, building in Gilo — or any other part of Jerusalem — would have no effect on the creation of a Palestinian state if a peace deal should ever be signed. It is generally understood that even according to President Obama’s idea of a border being created along the 1967 lines with land swaps that Jewish Jerusalem would remain under Israeli sovereignty. 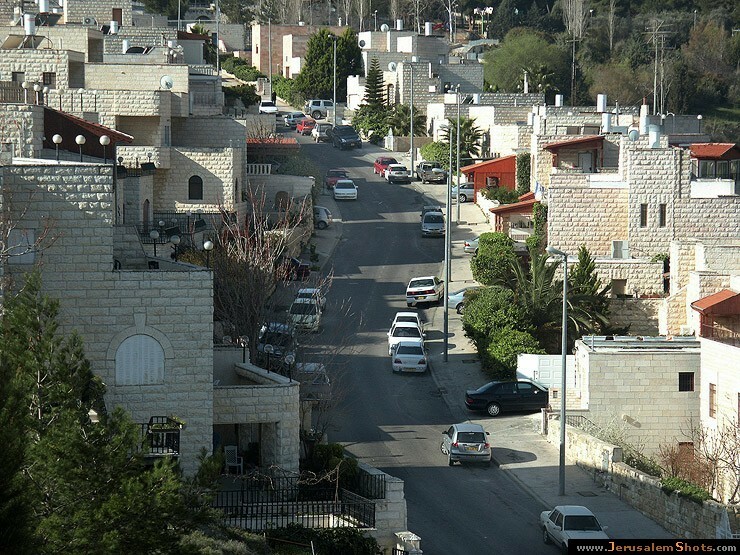 The only way homes in Gilo could be construed as an obstacle to peace is if the vision of peace being pursued is one in which every Jew is thrown out of much of the city. Even worse, by branding Gilo as a place where Jews ought not to live and build, the State Department is doing more than just trying to appease the Palestinians. It is also illustrating that as far as the U.S. is concerned, this place where terror was decisively defeated is up for grabs. That’s a signal Palestinians may wrongly interpret as American indifference to a resumption of violence. This latest episode is a reminder that no American leader has done more to chip away at Israel’s position on Jerusalem than Obama. Despite the hopeful signs about a rapprochement between the administration and Israel during the debate in the United Nations, the president is still holding on to dangerous misconceptions about Jerusalem and the goal of the Palestinians. The very last thing that the foreigners who bankrolled the social protest movement here in Israel this summer anticipated was that it would somehow help Prime Minister Binyamin Netanyahu. The purpose of the exercise was, after all, to raise such a groundswell of protest that the government would somehow fall. This with the anticipated additional benefit that the public would “connect the dots” that “social-justice” could not possibly be achieved as long as the “occupation” and “settlements” continued to exist. But that’s not the way the summer of protest played out. 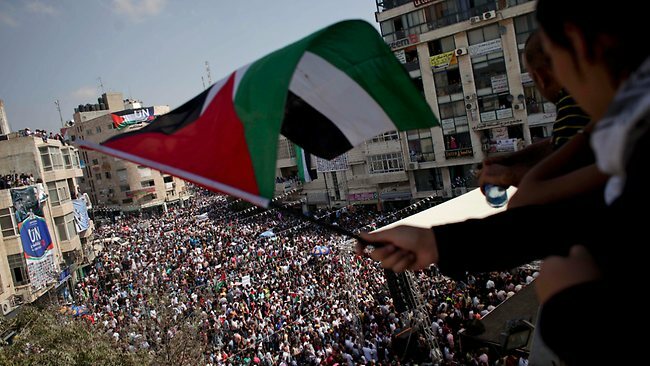 The Israeli media pulled all the stops to support the social protest movement – this at the expense of the impending “Palestine State Tsunami” that would have otherwise been the focus of the entire summer. And no doubt much of the same foreign money that covered the tab for the social protest movement would have financed a summer of protests,conferences and various other media events designed to tell the world the story that the Israeli “street” actually welcomes the UN declaration of a Palestinian state. A story that might have confused friends of Israel abroad as it was exploited by others to justify a hardline against the official Israeli position. This phenomenon may be repeating itself again, with the Trajtenberg Committee recommendations the focus of media attention rather than the Palestinian story. Thank you New Israel Fund? Zahran - The Real Reasons Abbas Went to the U.N. The world held its breath last September 26th as Palestinian "President" Mahmoud Abbas made his case for statehood before the United Nations General Assembly. The Israeli establishment still stands disturbed by the Palestinian Authority's [PA] move, to the point that Ehud Barak, Israel's defense minister, described it as "a very dangerous situation" that "requires action." Nonetheless, amid this storm; Israel might have an opportunity of a lifetime on which to capitalize. Whatever Abbas was doing, and whatever the outcome might be, Abbas was reinforcing Palestinian victimhood, the fuel that keeps the PLO financed by the world, even though it comes at a heavy price for the Palestinian people. PA officials have already confirmed that even if a Palestinian State will be declared by the UN, Palestinian refugees will not be returning to it, including those who already live in areas under the PA's control. The PA claims that these people should return only to Israel -- a statement that shows either that the PA has its sights set on taking control of all of Israel , or is simply trying to keep the Palestinian suffering ongoing in order to get more international sympathy and especially more international funding. Abbas has been persistent about going to the UN, even though the United States announced it would veto a UN decision to recognize Palestine as an independent state. This announcement by itself is a premature death for Abbas's quest. Why then did Abbas insist on pursuing the statehood bid despite the definite American veto? Today Abbas is an illegitimate "president," who has overstayed his term two years by refusing to hold free elections; unable to enforce his government's authority on the Gaza Strip, or even to return to his own house there which was seized by Hamas when it took over the Gaza Strip in 2005, forcing out Abbas's Palestinian Liberation Organization [PLO] in a matter of days. Hamas has since consolidated its rule over the Gaza strip, with no sign of Abbas and his fellow PLO leaders being able to restore their authority there. Hamas has consistently shown carelessness, to say the least, toward any "reconciliation" with Abbas, and has not offered any concessions whatever in that regard. The U.S. Ambassador to Israel recently told the International Conference on Economic Regional Cooperation in Tel Aviv that unless Israel and the Palestinians resume negotiations, "the lack of peace will decrease stability dangerously" in the Middle East. The Ambassador was merely repeating an idea that has become diplomatic dogma—the notion that the absence of a peace deal contributes "dangerously" to regional instability. But the Israeli-Palestinian impasse, in relation to Middle East instability, is like a lighted match tossed into a three-alarm fire. The number of Arab League member-states not riven by violence and upheaval can be counted on one hand, with fingers to spare. The reasons for the Mideast's rolling boil are unconnected to the Jewish state. Tunisia, where the Arab Spring began this year, remains a desperate place, in which unemployed teachers have threatened to commit suicide. After months of quarrels with other political groups, the Islamist party has agreed to elections for an assembly that will write a new Tunisian constitution. Given the Islamists' ascendancy, the odds that a Western-style democracy will emerge are low. In post-Mubarak Egypt, Turkish Prime Minister Recep Tayyip Erdogan, who is baiting Israel in his bid to establish Turkey's regional leadership, continued his campaign with a trip to Cairo. Having won the adoration of Cairo's masses, old guard Muslim Brotherhood leaders pointedly warned the premier of non-Arab Turkey against making a play for Middle East hegemony. "We welcome Turkey and we welcome Erdogan as a prominent leader," said Essam El-Erian, the Brotherhood's deputy leader, "but we do not think that he or his country alone should be leading the region or drawing up its future." The Egyptians discouraged Erdogan from visiting Gaza or Tahrir Square; and Erdogan's Obama-style speech at the Cairo Opera House, meant to rally the Muslim world against Israel, was not broadcast live in Egypt. No matter who rules Egypt, its rivalry and tensions with Persia and Turkey will continue. Expectations of the international community for peace between Israel and its Arab neighbors are almost universally based on the “Land for Peace” formula, which, in the case of a possible Israeli-Syrian deal, links withdrawal from the strategic Golan Heights with a peace agreement. Such a formula, however, does not serve Israel’s interests. Giving up the Golan plateau deprives Israel of its best defense against potential Syrian aggression. It also signals Israeli weakness and undermines Israel's deterrence. Designing borders in accordance with current but changing military technology and transient political circumstances is strategically foolish. Moreover, the expected political returns for Israel from a peace treaty with Syria are meager. Syria is unlikely to align itself with pro- Western Arab states and abandon its regional alliance with Iran in return for Israeli territorial concessions on the Golan Heights. Damascus has made abundantly clear that such realignment is not on the table. Its ability to “deliver” Hizballah in Lebanon is also questionable. Moreover, a peace treaty with Syria is not going to affect the diplomatic fortunes of Israel in the region or in the world. 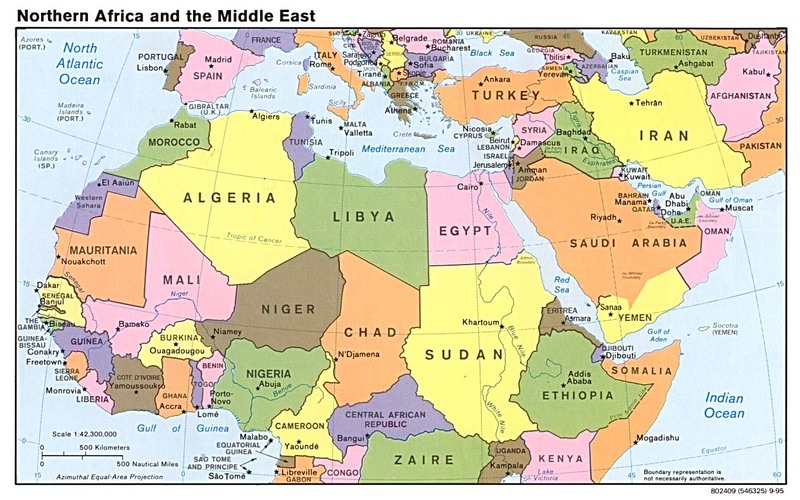 And, Syria, as well as the rest of the Arab world, has little to offer to Israel in economic or cultural terms. Israel hardly desires to integrate into a despotic, corrupt and poor region. This calculus is not affected by the prospects of a change in Syria's leadership. Another compelling reason for not accepting the “Peace for Land” formula is that the status quo serves Israel’s best interest and preserving it requires Israel to maintain its military superiority. Thus, while the possibility of disrupting the status quo by force exists, a Syrian challenge would be difficult diplomatically and militarily. As long as Syria fears escalation and Israel's power, Israel has the upper hand. Israeli policies toward Syria should be guided by such power politics, just as most territorial disputes are conducted, and Syria must at some point swallow its pride. Since retaining the Golan is more important for Israel than reaching a peace treaty with Syria in the foreseeable future, Israel should insist on a new paradigm, “Peace for Peace,” based on the principle of defensible borders. The demand for secure borders seems reasonable and is rooted in international resolutions such as UNSC Resolution 242. The political unrest and volatility in the region, including questions about the foreign policies of Israel’s neighbors, similarly prescribe against taking any significant security risks by ceding the Golan to Syria. Israel should augment its claims for defensible borders on the Golan Heights with normative, legal and historic arguments. A return to the 1967 border is morally repugnant because it implies that the aggressor of 1967, Syria, should not pay any price for its flagrant violation of international norms. Israel should also emphasize its historic rights to this piece of territory and point out that these claims were accepted in the 20th century in internationally recognized documents. It should use these historical and legal arguments to bolster its claim of sovereignty over the Golan Heights. Israel must regain the moral high ground in order to show that it is demanding land that is part of its historic patrimony – not land that was conquered by force. A discourse rooted in normative, historic and legal considerations is important in this quest. Such a discourse will buttress realpolitik imperatives that dictate Israeli control of the Golan Heights. This is most likely the last posting before Rosh Hashana begins tomorrow night. And so here I extend my wishes for a year of blessings and peace to everyone. Dip your apple in the honey: Take the time to know life's sweetness. As for Klal Yisrael (the Community of Israel), my prayer is that we will stand together during these hard times, protected from Above. Last week, I spoke about the marvelous counter-conference -- "Perils of Global Intolerance at the UN" -- held in a hotel across the street from the UN while Durban III was going on. Sponsored by the Hudson Institute and Touro College, under the dedicated and vigorous guidance of Anne Bayefsky of Eye on the UN, the conference hosted a magnificent series of participants. I had wanted to summarize some of their talks, but found it a bit overwhelming, What I hoped was that the talks would appear on video on the Internet, and indeed this has turned out to be the case. The streaming video live presentation was done under the auspices of PJTV (PJ Media) and it is PJTV that is now carrying the videos. I strongly urge you to access these videos and watch at least some of them. It takes a bit of patience, but it's worth it and then some. Go to www.pjtv.com and register. This can be done without making payment, although some subscription deals do require payment. Once registered, you can access "Durban Watch" in the library of videos. About five years ago, I was invited by the Hoover Institution to lecture at Stanford University over the course of a week. Coincidentally, Israel's Independence Day fell during that week, so I was invited to speak at the celebration held by pro-Israel students. In my talk, I noted that the crux of the problem in the Palestinian-Israeli conflict was that most Palestinians wanted Israel to cease to exist. After my talk, a woman walked over to me and introduced herself as a peace activist. She told me that she could not agree with me because Palestinians, in her view, were quite willing to accept Israel's existence. As it happened, about 50 feet behind the pro-Israel celebration was an anti-Israel demonstration led by Palestinian students. So I told the woman to go over and introduce herself to the Palestinian students as a peace activist -- that way they would immediately trust her -- and ask them if they were willing to acknowledge the right of the Jewish state of Israel to exist. I told her that I would bet her $5 that they would not answer in the affirmative. She accepted the bet and walked over the Palestinian students. After about 10 minutes, she returned. "So," I asked her, "who won the bet?" "I don't know," she responded. "I don't understand," I replied. "Didn't they answer you?" "They asked me, 'What do you mean?'" she answered. I told her she owed me $5 but that I wouldn't collect. Earlier this month in Ramallah, the de facto capital of the Palestinian Authority, I interviewed Ghassan Khatib, director of government media for the Palestinian Authority and the spokesman for Palestinian President Mahmoud Abbas. I asked him the same question: Do the Palestinians recognize Israel as the Jewish state? It's been a while since Hamas-ruled Gaza has made an appearance in the "news" pages of the New York Times and the Washington Post. Both papers, along with most other Western media, have been so intent on cheering Palestinian leader Mahmoud Abbas's request for UN statehood recognition that they somehow overlooked Hamas' opposition to his purported agenda for a two-state solution. 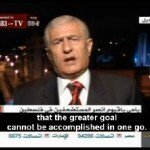 Hamas wants a single state that swallows up all of Israel. And it makes no bones about it. So, you might think that, when it comes to giving international approval to a Palestinian state, Hamas' refusal to live side by side with Israel might command some attention. But you would be wrong. The media are so totally invested in pursuing the myth of Palestinian readiness for statehood that illusion trumps hard reality Why let facts spoil the party? 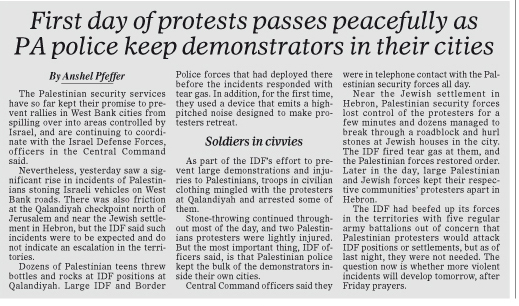 Take, for example, the Sept. 26 edition of the New York Times, which features an article by Jerusalem bureau chief Ethan Bronner, headlined: "Palestinians Roll Out Hero's Welcome for Abbas" page A10). 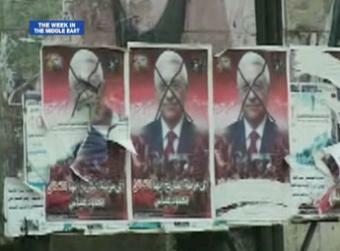 Bronner, reporting from Ramallah, tells readers that Abbas returned from New York "to a hero's welcome," as thousands came to greet him at his headquarters, "waving flags, shouting oaths of loyalty and holding aloft his photograph." What Bronner fails to tell readers is that there was no hero's welcome mat for Abbas in Gaza. Just the opposite. In Gaza City, when a restaurant owner began screening Abbas's address to the UN General Assembly, a couple of Hamas' security goons halted the screening and led the owner away for indoctrination and re-education. Forty-eight hours later, he still hadn't been heard from. What does it tell us when a strategically invaluable gas pipeline linking Israel with Egypt gets blown up for the sixth time in seven months? February 2011 is when the Mubarak regime fell, and the start of the latest stage in the stepwise conversion of increasingly-lawless Sinai into Israel's third battlefront. Now, in the latest such attack, three men opened fire last night at a pumping station near the town of el-Arish in Sinai, according to Reuters. Under a 2008 agreement, Egypt is contractually committed to supply 1.7 bn cubic metres a year over 20 years. 43% of Israel's natural gas comes via this pipeline, and it's the basis for 40% of Israel's electricity production, according to AFP. El-Arish is 50km from the border with Israel. According to JPost, Egypt has been trying to charge Israel and Jordan more for its gas after complaining that prices fixed during Mubarak's rule were below market rates. 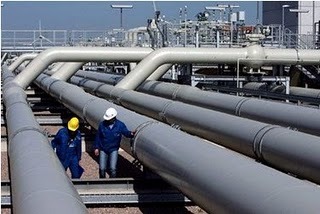 The pipeline is run by Gasco, Egypt's gas transport company which is a subsidiary of the national gas company EGAS. The Egyptian armed forces launched a security operation in Sinai in August to root out hundreds of suspected militants believed to be behind some of the attacks on the pipeline and police compounds in the peninsula. Security sources said then that they had captured a group of four Islamist militants as they prepared to blow up the gas pipeline in el-Arish. Whether true or not, the larger facts - six explosions since February - speak for themselves, and what they're saying bodes ill for relations with our southern neighbours. A Wall Street Journal article yesterday says U.S. intelligence officials no longer have any doubt that al Qaeda are operating in the Sinai peninsula. Ayman al-Zawahiri, the post-Bin Laden head of Al-Qaeda was quoted last month exhorting his followers (and fellow Egyptians) in Egypt to take advantage of Mubarak's ouster. "I commend the heroes who blew up the gas pipeline to Israel. I ask Allah to reward them for their heroic act, for they have expressed the anger of the Islamic Ummah against this continuing crime from the reign of Hosni Mubarak to the rule of the Military Council." Nearly half of our electricity being produced from energy that comes from an Al-Qaeda terrorist-controlled region, overseen by a mostly-passive military junta in Cairo. What could possibly go wrong? He also use a word that MEMRI (which employs qualified translators) renders as ‘scumbags’ to refer to Israeli PM Netanyahu, FM Lieberman and US President Obama (perhaps a reader who understands Arabic can pick out the word for me — it might come in handy the next time there is a local anti-Israel demonstration). As Caroline Glick explains here, the unilateral action of the PLO marks the Palestinians’ official exit from the ‘peace process’ that began with the Oslo agreement in 1993. Nevertheless, the ‘international community’ is likely to use this event as a reason to pressure Israel for more and more concessions in the name of the dead ‘peace process’, lest they allow the Security Council to pass a resolution that will admit ‘Palestine’ to the UN. The letter that accompanies the application for admission to the UN (all the relevant documents are here) submitted by Palestinian ‘President’ Mahmoud Abbas reaffirms the Palestinian commitment to Oslo and the ‘peace process’, as well as UN resolutions 242 and 338, while at the same time contradicting them. The letter refers to multiple UN resolutions, including the partition resolution of 1947 that was never implemented — the Arabs rejected it and chose war — as well as the ‘rights’ of Arab ‘refugees’, etc. It is a mish-mash which makes little sense. The formal application itself simply refers to the partition resolution (181-II) and the Palestinian “declaration of independence” of 1988, which did not specify the borders of Palestine. So whatever will be voted on in the Security Council will have to be more specific than this. It is impossible to admit a state of mind to the UN. 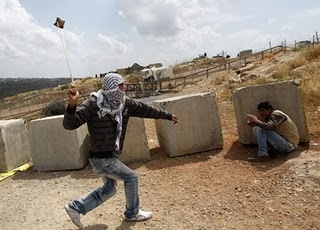 In truth, we know that the Palestinians do not expect a physical state to come out of this. What they do hope for is a legal platform to continue their diplomatic pressure on Israel — and I guarantee that they full well intend to continue their terrorism as well, although, as always, the Palestinian government will officially deny any connection to it and even, from time to time, condemn it. Based on the novel by Lew Wallace, the period drama revolves around Judah Ben-Hur (Heston), a Palestinian nobleman who is enslaved by the Romans, engages in one of the most thrilling chariot races ever captured on screen, and even encounters Jesus Christ. Of course, there was no such place as "Palestine" in the time of Jesus, since the Romans didn't rename Judea as "Palestina" until a hundred years after the death of Jesus (a fact that even the New York Times had to correct). 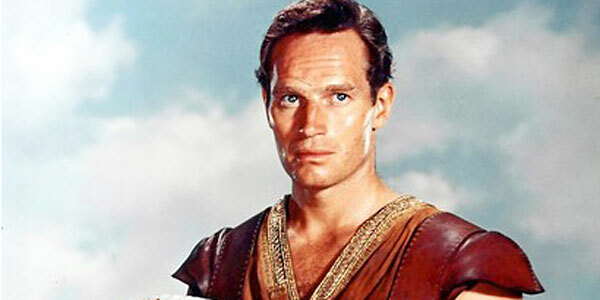 In earlier coverage, the Los Angeles Times had correctly described Ben-Hur's Jewish/Judean identity. For instance, a March 15, 2001 article referred to "the rich, honorable Jewish man Judah Ben-Hur"; a June 17, 1994 article correctly described him as "the Judean"; and a Sept. 14, 1990 article referred to him as "prince of Judea." Perhaps the paper's 2011 remake of Ben-Hur, the Judean, into Ben-Hur, the "Palestinian," is testament to the success of ongoing efforts to misleading the masses into believing that a sovereign Palestinian entity did in fact exist before 1948, either in antiquity or in more recent history. Send corrections requests to readers.representative@latimes.com . Tobin - Who’s Committing West Bank Violence? To listen to some reporters and commentators, the only violence in the West Bank in recent years are attacks against Arabs by maniacal right-wing Jewish settlers. That was the conceit of a New York Times feature published on Friday — the same day Palestinian Authority leader Mahmoud Abbas delivered his request for statehood at the United Nations. According to Ethan Bronner’s report, Israel’s main worry wasn’t about Palestinian terror but an escalation of settler violence. 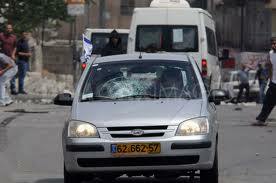 The story depicted the settlers as being out-of-control and having no respect for innocent Palestinians. However, as Friday’s lethal attack on a Jewish vehicle in the West Bank proved, the belief violence on the West Bank is a one-way street is simply untrue. Settler violence is wrong, but the notion it is unprovoked or Jews are more likely to attack Arabs in the territory is an absurd distortion of the truth. Yet that is exactly the impression Bronner’s story left about the situation in the West Bank. In this telling, the Jews living in settlements are giving the Israeli government nightmares because they are liable to attack peaceful Arab protesters with lethal force in the coming weeks. Even more worrisome is their propensity to launch “price tag” assaults on Arab persons or property, including mosques. Such attacks are routinely portrayed as a radical Jewish tactic designed to intimidate their neighbors as part of a plot, as the Palestinians allege, to “steal” their land. Watch the following video of the remarkable work of a young Italian photographer named Ruben Salvadori. Ruben's project "Photojournalism Behind the Scenes won Milan's prestigious Photodreaming Contest organized by the Forma Foundation. Here's the link to the write-up of his work. Implication of unsustainable status quo is that things are so bad you better jump off sinking ship – into shark-infested waters – before it's too late. Many people are obviously and understandably frustrated that Israel is so badly treated by the “M.U.G.-gers (Media, University, and government)” complex in much of the Western world. One can fume endlessly against their behavior (double standards, unfair, falsified history) but that accomplishes nothing. An alternative approach to the issue is to call for “creative new ideas,” with the assumption that these ideas will solve the problem, or at least make things better. This is logical and fits many other situations, but it usually doesn’t apply to Israel’s case. Why not? The assumption is that if good actions are taken they will be recognized and rewarded. If good things are said, they will be reported and praised in a meaningful way. But while Israel should always do and say the best things, this mechanism doesn’t work. The good actions are ignored or reinterpreted; the good statements are just ignored. And so the eternal last bastion of those who unintentionally make Israel’s situation harder and the Middle East worse is to say: Why don’t you propose something positive? What’s the alternative? The status quo is unsustainable! Of course, all status quos are unsustainable in a sense, since change is inevitable. But sometimes the status quo deserves to be kept around for a while until something better comes along, or can be made to happen. The best alternative of all is not to make things worse than they already are. As for the cliché that the status quo is unsustainable, that statement is usually followed by a plan that would make for a status quo even more unsustainable and negative. Fifty-five Jewish lawmakers from 22 countries gathered in Jerusalem in June 2011 for the International Consultation of Jewish Parliamentarians. The meeting was co-organized by the International Council of Jewish Parliamentarians and the World Jewish Congress (WJC). The following was the presentation to the group by M.K. Moshe Ya'alon, Vice Prime Minister & Minister of Strategic Affairs of Israel. His perspective on the region is sharp and focused, and his views are clearly heard within the inner cabinet. Some 1,941 years ago, the Romans conquered the ancient Jewish kingdom of Judea by force and attempted to expunge all memory of the Jews’ claim to the land by renaming the area Palestine. Two days ago, Mahmoud Abbas attempted to do the same thing by diplomatic force at the UN. Saeb Erekat, the chief Palestinian negotiator, said by telephone Sunday that the Palestinian leadership would “study the statement” by the Quartet on resuming [peace] talks. But Palestinian Authority President Mahmoud Abbas told a welcome rally on his return to the West Bank city of Ramallah on Saturday that in order for negotiations to resume, Israel had to stop settlement construction on land the Palestinians are seeking for a future state. “We have confirmed to everyone that we want to achieve our rights through peaceful means, through negotiations — but not just any negotiations,” Abbas told a cheering crowd. “We will not accept (negotiations) until legitimacy is the foundation, and they cease settlement completely.” . . . Along with a settlement freeze, the Palestinians are demanding that the base line for negotiations should be Israel’s boundaries before the 1967 Middle East war, with mutually agreed land swaps that could allow for the absorption of some settlements into Israel in return for Israeli territory of equal size. It’s clear what is going on here. Abbas is using President Obama’s foolish obsession with settlements and public undermining of Israel’s bargaining position against both Israel and the United States. Abbas had lobbed his request into the U.N. Security Council after Obama personally urged him not to. This is not a surprising turn of events. Since Obama took office, his efforts to curry favor with Abbas and put the screws to the elected prime minister of our democratic ally have sent a clear message: The more in­trac­table and defiant the Palestinian Authority, the more mileage it will get. Bring a U.N. resolution to the Security Council asking for a settlement freeze, and you’ll get an anti-Israel rant from U.S. Ambassador Susan Rice. Walk out of negotiations, and Obama will adopt as U.S. policy the Palestinian demands that Israel must bargain for every inch of soil acquired after the 1967 war — and stone in the Western Wall — while the “right of return” remains one of those “hard” issues that will be discussed later. The Palestinian Authority has used Obama’s fear of U.S. “isolation” (what other administrations have considered a badge of honor) in the United Nations to bludgeon the U.S. president into becoming its agent. Obama now scrambles to prevent a U.N. vote, but Abbas wants to up his leverage to get more from the U.S. president. What is apparent in all this is that the Israeli-Palestinian conflict is not and has never been about settlements. It’s not about Benjamin Netanyahu “blocking peace.” It is about the failure of Palestinians to “renounce once and for all the creeping Islamism that would sooner see them suffering the miseries and oppression of twelfth-century religious and cultural practice than thriving in a modern society . . . [and to] cast off at last the self-strangling mythology of their own victimhood.” If statehood were the objective, they’d have had it 10 times over. But it’s not. It’s about the substitution of diplomatic for military means to accomplish the aim of delegitimizing, crippling and ultimately destroying the Jewish state. They imagined they had a useful fool in Obama. Alas, he’s not as useful as they imagined. Palestinian leader Mahmoud Abbas arrived in New York with supreme confidence that the United Nations would approve Palestinian statehood and give Israel a black eye. But a funny thing happened on the East Side that sidetracked Abbas's agenda, leaving him sputtering against a joint move by the most potent international players who confronted him with a starkly different course that Israel readily embraced. To parse what actually happened in New York, one has to recognize that, in delving again into the morass of the Israeli-Palestinian conflict, there actually were two proceedings going on. While the cameras were focused on Abbas strutting to the podium of the UN General Assembly, there were more significant, behind-the-scenes meetings of the Quartet -- the United States, the European Union, Russia and the UN. And the Quartet, instead of endorsing Palestinian statehood, put all its influence behind a quite different move to get Abbas to sit down with Israeli Prime Minister Netanyahu and resume serious negotiations --- something Netanyahu repeatedly advocated for the last year. And here was the real rub: The Quartet's statement called for resumption of bilateral talks "without conditions" -- a slap at Abbas, who kept demanding that Israel freeze Jewish construction in East Jerusalem and the West Bank, and agree to borders along the 1967 lines before talks could even get under way. No wonder that the Palestinians, suddenly on the defensive, slammed the Quatet's communique, while Israel signaled its acceptance. In its call for unconditional talks between Israel and the Palestinians, the Quartet set a tight deadline -- a start of negotiations in one month, comprehensive proposals by each side on borders and security in three months, substantial agreement in six months, and a final two-state peace deal before the end of 2012. And since the Quartet wants the two sides to grapple early on with borders, this means that Jerusalem would be in immediate play. Because if you're going to chart a border between Israel and Palestine, Jerusalem has got to be located somewhere -- whether split in two as Abbas wants or united, as Bibi wants. Kushner - From Israel: And So? On Friday, Mahmoud Abbas, putative president of the PA, spoke at the UN General Assembly. I won't belabor his words unduly. They were pretty much as we might have expected -- a justification of his intention to unilaterally pursue membership in the UN for a Palestinian state. Of course, there was a great deal with regard to Israel's obstinacy and the fact that Israeli policies represent the true obstacle to peace. "The core issue here is that the Israeli government refuses to commit to terms of reference for the negotiations that are based on international law and United Nations resolutions, and that it frantically continues to intensify building of settlements on the territory of the State of Palestine. "Settlement activities embody the core of the policy of colonial military occupation of the land of the Palestinian people and all of the brutality of aggression and racial discrimination against our people that this policy entails. This policy, which constitutes a breach of international humanitarian law and United Nations resolutions, is the primary cause for the failure of the peace process...and the burial of the great hopes that arose from the signing of the Declaration of Principles in 1993..."
Just in case there might be someone reading this who ascribes validity to these statements by Abbas, I will state once again that they constitute unmitigated nonsense. Israel is not conducting herself in defiance of international law in any regard whatsoever. Israel does not maintain an "occupation" in Judea and Samaria (never mind a "colonial" occupation, which implies that Israelis are interlopers). Key UN resolutions never forbid settlements and neither did the Oslo Accords. "When we adopted this program [a 'peace plan' in 1988], we were taking a painful and very difficult step for all of us, especially those including myself who were forced to leave their homes and their towns and villages, carrying only some of our belongings and our grief and our memories and the keys of our homes to the camps of exile and the Diaspora in the 1948 Nakba -- one of the worst operations of uprooting, destruction and removal of a vibrant and cohesive society that had been contributing in a pioneering and leading way [to] the cultural, educational and economic renaissance of the Arab Middle East." Wow! Sort of takes the breath away, doesn't it? With its absolute audacity, that is. This is the Palestinian Arab narrative of the "right of return," here painted in neon vivid colors. He speaks about being one of those who was forced to flee -- he likes to represent himself as a "refugee." But the fact of the matter is that he has written about how he and his family left Sfat voluntarily. This narrative, at its core, is about the Palestinian Arab claim to all of the land between the river and the sea. That's why he's talking about 1948 and not 1967. The "peace plan" was painful because it would have given the Palestinian Arabs less than the everything they claim they are entitled to. What seemed on Friday to be a routine car accident now turns out to have been an attack by terrorists in the vicinity of the Jewish community of Kiryat Arba. [Source]. 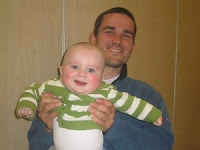 The Jerusalem Post reports this evening that police now believe that rock throwing was the cause of the car accident that killed Hillel Palmer, 25, and his one-year-old son Jonathan on Friday. At a court hearing today, counsel for the police said that it now appears the car veered off the road after a rock shattered its windshield. "The police said that the front window was shattered, and a large rock was found inside the car with Palmer's blood on it. People close to the victims claimed that the police quickly determined it as a car accident in order not to inflame the region." The media is already treating the dueling speeches today at the United Nations General Assembly by Palestinian Authority head Mahmoud Abbas and Israeli Prime Minister Benjamin Netanyahu as morally equivalent. But such a view of these addresses would be dead wrong. To put it bluntly, Abbas lied, and Netanyahu told the truth. Abbas based his claim for the United Nations to allow him to bypass negotiations and to get a state without first making peace with Israel on the notion Israel’s presence in the West Bank and Jerusalem is “the last occupation.” That would be news to the Kurds and a host of other ethnic groups large and small throughout the globe who have suffered as much if not more than the Palestinians, but who have never been considered worthy of an independent state by the international community. Some journalists commenting on the speeches immediately claimed there was no difference between Abbas’ baseless claims of Israeli racism and Netanyahu’s noting the Palestinians intend their state to be free of Jews. But these claims are not equal. Israel is a democracy in which its Arab minority can claim full rights of citizenship. Yet Abbas himself has said peace must mean every town and village in the West Bank as well as neighborhoods in Jerusalem where Jews live over the green line must be eradicated. That means Netanyahu’s claim Palestine would be “Judenrein” and his mentioning of the fact the Palestinians have laws prohibiting the sale of land to Jews (a crime punishable by death) are not slurs but accurate reflections of the Nazi-like hate that permeates the PA.
A YEAR or two ago, I took a taxi from Jerusalem to Tel Aviv. It was a brilliant sunny day and all around me the hills were green, as we passed a prosperous Arab village, a beautiful kibbutz, a bit of jangled traffic. The taxi driver was English, an English Jew who had found a better life in Israel - better pay, less anti-Semitism, safer streets, an easy air commute to his daughter in England, but close to other relatives in Israel, and lots and lots of sunshine. That day, a Roger Whittaker song was playing on the taxi radio. This Israel, I thought, there's something beautiful here. Let me offer you a couple of other images. I found myself surrounded by five men, one of whom tried to punch me in the face. I stopped the attack by pointing out how shameful it was for a Muslim to assault a guest in his country, especially during Ramadan. "Relieved that the assault was over, I was appalled by the apology offered by one of my assailants: 'Sorry,' he said contritely, 'we thought you were a Jew'." Here's a third image, this time from outside the Middle East. An acquaintance of mine, an American woman, neither Israeli nor Jewish, nor in any way connected with the Middle East, was helping to run an outreach program in southern Thailand involving Muslim and Buddhist students. At the end, one of the Muslim students said to her words along the lines of: thank you, that was very nice. Much better than I expected. And the final sentence: "I'd never met a Zionist before." The key issue in the Israeli-Palestinian dispute, and in the wider Israeli-Arab dispute, is the issue that dare not speak its name, the pervasive and profound anti-Semitism that permeates the contemporary Islamic world, especially the Middle East. Sept. 25 Update: "Ha'aretz Headline Again Erases Violence"
Sept. 22 -- For years, Snapshots, CAMERA's blog, has been highlighting how the English edition of Ha'aretz, relied upon by Western journalists, diplomats and opinion makers, has a tendency to cut out and and/or alter critical information appearing in the Hebrew version of the newspaper. Invariably, as our "Ha'aretz, Lost in Translation" series points out, the English edition downplays or omits information that portrays the Palestinians in a negative light. A page-two article in today's paper brings a new, striking example of the ongoing phenomenon. 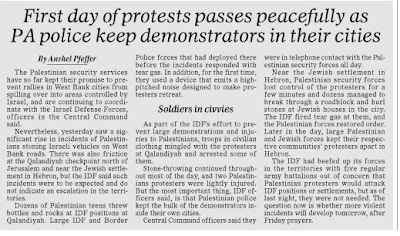 In the print edition, the article is headlined: "First day of protests passes peacefully as PA police keep demonstrators in their cities." Those fears were a double-edged sword. Media account over the past few weeks centered not so much on Arab violence, rather on Israel responses, and most particularly, those of ‘radical settlers.’ Normal, everyday Jews are so being labeled. For example, New York Times Bureau chief Ethan Bronner, in an article posted Friday, writes, “…Bat Ayin, a fenceless settlement near Bethlehem known for its radicalism.’ Known by whom? 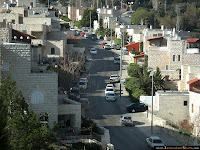 Bat Ayin, a community of Hassidic Jews in the Gush Eztion area, is far from ‘radical’ as I would define the word. On the occasion of your supporting Palestinian unilateral independence despite the dangers this presents for Israel while simultaneously criticizing Israel for not giving massive concessions in exchange for nothing. On the occasion of the world groveling before Mahmoud Abbas, a ruler of a mere one million people who is in partnership with an explicity genocidal terrorist group, is dependent on Western hand-out, refuses to negotiate or compromise, and has cancelled elections at a time when democracy is supposedly the big thing in the Middle East. On the occasion of your ignoring the fact that Turkey is ruled by an Islamist party engaged in massive repression and the transformation of the country into a dictatorship, holding that regime up as a model for other Muslim-majority states as it arrests dissidents on a massive scale and keeps them under lock and key while threatening war with Israel. The U.S. government chooses this regime as its co-director in the most important new international counter-terrorist initiative and as its manager of the political transition in Syria. On the occasion of your whitewashing revolutionary Islamism andglorifying anti-Western forces that will yield a harvest of bloodshed and misery in future. And most of all on the occasion of your ridiculing, censoring, or ignoring far more accurate assessments of the situation. You were wrong about Iran’s revolution. You were wrong about Saddam not invading Iran. 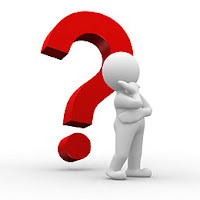 Shragai - Is the Temple Mount in their hands? Dann - Negotiating for what? Kushner - From Israel: Imminent Now? Dore Gold - Is Israel truly isolated? Zahran - A Plan B for Jordan? 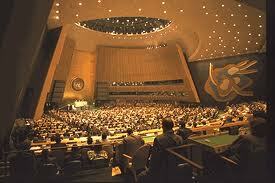 IMRA - Telling what truth at the UN?